A question concerning Blanc Cerise? Is online payment secure ? Yes, your bank details are encrypted in SSL and are never kept or stored on the website. Data is sent to the bank servers through our secure payment provider. How can I track my order status ? - The second to let you know when your order has been handed to the transporter and to give you the parcel tracking number. A link will be provided in this email to access the transporter’s website to track the delivery stages of your parcel. You can follow the status of your order at any time. Just go to the “My Account” tab and click on “My orders”. You will then be able to see the summary of your orders and follow their delivery status. Do you deliver oversees ? Blanc Cerise now delivers to METROPOLITAN FRANCE (excluding the French overseas departments and territories), Corsica, Belgium and the UK. We do not deliver to other countries. • Standard SoColissimo delivery: your parcel will be delivered in 48 to 72 hours, outside of weekends, bank holidays and during the sales, at a cost of €7.50. • EXPRESS Chronopost delivery: this service guarantees a 24 hour-delivery (72 hours for Corsica) at a cost of €10.00 (€25 for Corsica). All orders placed before 1 pm will be delivered the next day before 1 pm. How can I return my product free of charge ? By simply emailing Blanc Cerise customer service who will send you a return voucher by email to print and to use for returning your parcel. Qui est Blanc Cerise ? 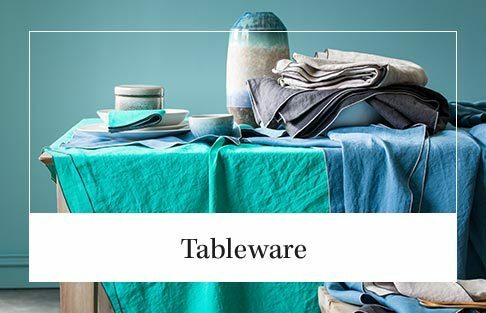 Blanc Cerise is a brand created by CTI, a French family-run company and home linen specialists with decades of experience devoted to their distributors. With a rare expertise, a strong network, several secrets and quality techniques, CTI, together with Blanc Cerise now create their own blends to delight your senses. How can I find the answer to my questions ? You will find the answer to your question under the FAQ tab (related to your customer account, order, deliver, etc.). If you need any additional information about a product, you can also contact the Blanc Cerise customer service through the contact form. How can I search for a product ? To find a product or search for a particular type of product, I can use the search engine at the top right corner. 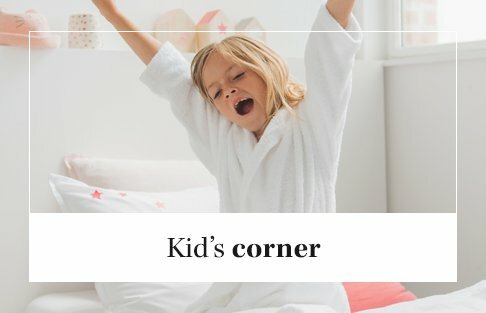 Enter the name of the product or category (duvet cover, blue pillowcase, etc.) then click on OK.
You can also search for a product by clicking on the department (at the top of the website): BEDROOM, BATHROOM, DINING ROOM, etc. How do I contact customer services ? The Blanc Cerise customer service is available from Monday to Thursday,from 11:00 to 17:00. To contact customer service, please use the contact form. Your request will be processed as soon as possible. Does the Blanc Cerise website function using a cookie system ? The customer can deactivate the use of these cookies at any time by selecting the appropriate settings in their browser. However, this deactivation will prevent the access of some of the website’s features, which personalise the services offered by blanc-cerise.com. When the customer browses on the blanc-cerise.com website, cookies from partner companies can be installed onto the customer’s computer. These cookies are used to identify viewed or purchased products on the blanc-cerise.co.uk website and to collect browsing data to personalise the advertising sent to the customer outside of the blanc-cerise.co.uk website. 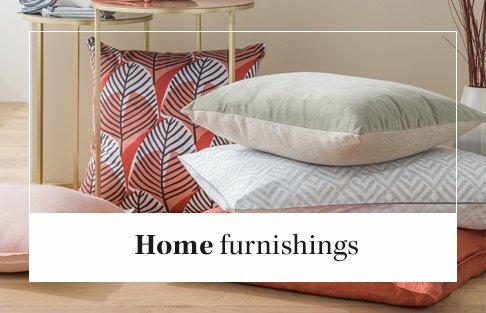 As part of this type of advertising partnership, blanc-cerise.co.uk may be required to send data to partners relating to the products viewed by the customer during their browsing on the blanc-cerise.com website as well as the customer’s type of purchases. The customer can refuse the use of these cookies at any time by adjusting the settings accordingly in their browser. This refusal will prevent the access of certain features offered by partner companies of blanc-cerise.co.uk. From the My Account personal space, click on the “Create” button. You then just need to fill in the necessary information and validate. How can I change my personal details ? From your My Account personal space, you can change your personal data. I’ve forgotten my user name or my password, how can I retrieve them ? From your My Account personal space, you can retrieve your password by clicking on “I’ve forgotten my password”. You just need to enter your email contact and confirm your request: your password will be sent to this email address. Is it safe to enter my personal details ? Any information provided by the customer is strictly confidential. It will be used exclusively by the internal services of Blanc Cerise in order to carry out a delivery. Your bank details are encrypted in SSL and are never kept or stored on the website. How can I purchase online ? You can purchase online on the blanc-cerise.co.uk website. Just follow the steps indicated while browsing on the website. You can at any time view the products that you have added to your basket by clicking on “Basket” button. 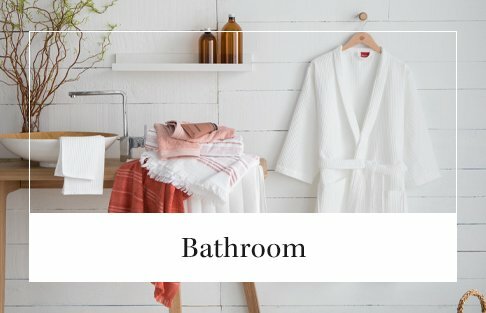 What products are available on the website ? All products developed by Blanc Cerise are available throughout the year on the e-shop. Some limited edition products will only be available as long as stocks last. How can I pay on the website ? Once you have chosen the products you would like delivering to your home, simply add them to your basket. Once you have checked the contents, click on “confirm my basket” and follow the instructions. You will need to select the delivery type and address, and then finally indicate the payment method you wish to use (credit cards or Paypal). What payment methods are accepted on the website ? We accept online credit card payment: Carte Bleue, Visa, Master Card or American Express,Pour les titulaires d'un compte Paypal, PayPal account holders can pay by PAYPAL. How does PAYPAL work ? Paypal enables you to pay for your purchases without ever having to provide your bank details. You just need to create a free Paypal account and register your credit card. Paypal encrypts and secures your data once and for all. You can then make your purchases using your email address and password. What should I do if my payment is refused ? You can try to use another payment method, similar to PAYPAL or use another valid credit card. Once your payment has been validated, an authorisation will be sent by your bank. However, your bank account will only be debited once your parcel has been dispatched, about two days after your order has been recorded. How can I use my vouchers ? The total value of your vouchers can be viewed at any time under the My Account tab. You can use all or some of your vouchers to pay for your order. You just need to enter the amount you wish to use to pay for your order and confirm your selection. When is my order processed ? Once the payment has been made and validated on the secure payment platform, you will be redirected to an order confirmation page on the blanc-cerise.co.uk website. You will also be sent an email confirming your order. Your order will then be processed. Will I be informed when my order has been recorded ? You will receive an email confirming the recording of your order, once payment has been accepted. Your order will then be available under the My Account tab of the blanc-cerise.com website. Your order number will be noted in the confirmation emails and the documents will be sent to you (delivery slip). How can I change or cancel an order just placed ? Your full details (surname, first name, telephone number, email address). Can I group together more than one order ? No, the payment and validation are for one unique order: one delivery address and one billing address. However, before payment you can add as many products to your basket as you like. -The second to let you know when your order has been handed to the transporter and to give you the parcel tracking number. A link will be provided in this email to access the transporter’s website to track the delivery stages of your parcel. You can follow the status of your order at any time. Just go to the “My Account” tab and click on “My orders”. You will then be able to see the summary of your orders and track their delivery status. How can I print my invoice ? Once your order has been confirmed, your invoice will be available under the My Account tab. You can view this invoice and print it out. The delivery time varies according to the type of delivery chosen (SoColissimo or Chronopost). If you have a problem with your order or if you haven’t received it within the time stated, please contact Blanc Cerise customer service by email to the following address: serviceclient@blanc-cerise.com. How can I change my delivery address ? Unless otherwise stated, your delivery address is the last address entered when you created your account. You can change your delivery address in your account or when placing your order. You can also create several addresses in your address book and select the relevant one for your order’s delivery. Can I have my parcel delivered to different address ? Yes, you can select a different delivery address for each order, including a different address to the invoicing address. Can I have my parcel delivered at a later date ? Yes, by stating the date from which you wish to be delivered. You will be able to indicate this when you choose your delivery method. How can I order a present ? Yes, if your purchase is a present, we can deliver it to another address. Your present will be delivered to the present recipient’s address, which you have entered with a present delivery slip (no price). The order invoice will be available in your account. You will also be able to include a personalised card in the parcel, which will include the text you entered on the website. What is the company’s returns policy? If I return a product, will I be refunded? Are delivery charges refunded ? In accordance with new European legislation, you can now return your parcel within 15 days after the reception of your order. Blanc Cerise has extended this period to 30 days and will also pay for the return delivery charges. You just need to let us know if you would like a refund or if you prefer a credit note (in the form of vouchers) once your parcel has been returned. Blanc Cerise will check the product(s) – product(s) must be returned new, non-used and in their original packaging complete and intact. Blanc Cerise will then refund the product(s) returned (including discounts before delivery charges). How can I return a product or a complete order ? You can send back any product(s) that you are not entirely satisfied with. To do this, simply go to the My Account tab, print the return voucher and follow the instructions. Product(s) returned must be new, non-used and in their original packaging complete and intact. How can I exchange one or more of the products in my order ? Please contact Blanc Cerise customer service by email at the following address: serviceclient@blanc-cerise.com. I’ve received some Blanc Cerise products as a present and would like to exchange them. You can send back any faulty product(s). To do this, simply go to the My Account tab, print out the return voucher and follow the instructions. Product(s) returned must be new, non-used and in their original packaging complete and intact. The delay for processing returned parcels can take from 2 to 3 weeks, after this period please contact Blanc Cerise customer service at the following address: serviceclient@blanc-cerise.com who will investigate further. My parcel has been lost, what should I do ? If the status of your parcel remains on “despatched” for over a week, you can contact the Blanc Cerise customer service at the following address: serviceclient@blanc-cerise.com stating your order number and the reason for your request (in this case, lost parcel). Customer service will contact our service provider La Poste to open an enquiry. Your enquiry will be dealt with within 15 days (from the date that the enquiry was initiated). If your parcel is found, we will re-send the parcel to you for no extra charge. If the parcel is lost, your order will be refunded in full. How can I know if the parcel I’ve sent back has arrived ? As soon as this has been processed by our logistics service, Blanc Cerise customer service will process the refund of your order and inform you by email. Log into your account on the website to proceed with a returns request. A return voucher and a Poste return label can be printed out from the website. Include this return voucher in your parcel and stick on the Poste label before sending back. All return charges are paid by Blanc Cerise. Where can I buy Blanc Cerise products ? You can buy Blanc Cerise products on our blanc-cerise.co.uk e-shop and in our sale outlets. Where are Blanc Cerise products made ? Products from the Blanc Cerise collection are made in Europe to guarantee the best quality and perfect finishings. Are your products quality controlled before being placed on the market ? Our products are OEKO-TEX certified. Since 1992, OEKO - TEX has become the motto for independent testing institutions that make up the International Oeko-Tex® Association. Tests are carried out on harmful substances according to the Oeko-Tex® Standard 100 to ensure all textile products pose no risk whatsoever to health. The Oeko-Tex® label brings to the attention of informed consumers the importance of testing for environmentally friendly products. Are prices in livres sterlings ? All prices are indicated in euros, including VAT and excluding delivery charges. Prices for products on blanc-cerise.co.uk are valid for 6 months effective from their publication on the website. 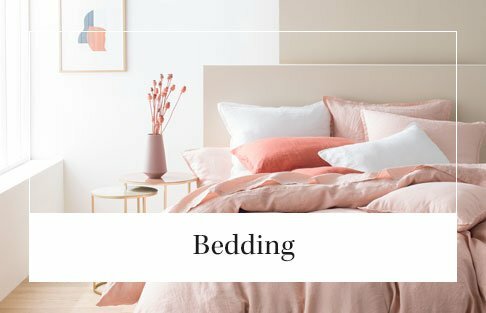 What is percale cotton ? Percale cotton is a high quality cotton fibre (80 threads/cm²). Extremely soft, it guarantees an incomparable comfort. It is also very hard-wearing and requires very little ironing. Try it – you won’t regret it! How can I receive a Blanc Cerise swatch ? For all Blanc Cerise products with the swatch logo, you can request a swatch (a maximum of 3 swatches per parcel) by logging into your account and clicking on the “contact our customer service” tab. You just need to let us know which swatches you would like. What sort of special offers are there at Blanc Cerise ? Throughout the year, Blanc Cerise offers special offers, advantages and many more surprises. If you would like to be informed of our offers and brand news, please subscribe to the Blanc Cerise newsletter. You can get exclusive offers by following us on Facebook and Instagram. How can I use my special offer code ? It’s as simple as that! Enter your special offer code in the basket. 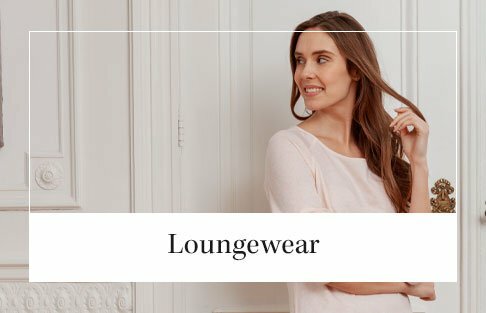 Do blanc-cerise.co.uk have sales ? If you would like to be informed of our offers and brand news, please subscribe to the Blanc Cerise newsletter. You can get exclusive offers by following us on Facebook and Twitter. My special offer code doesn’t work, what should I do? If your promotional code doesn’t work, it could be for several reasons:. Either the code is not valid for the products you have selected or the order amount is not sufficient. For any other problems, please contact the Blanc Cerise customer service to report a malfunction.